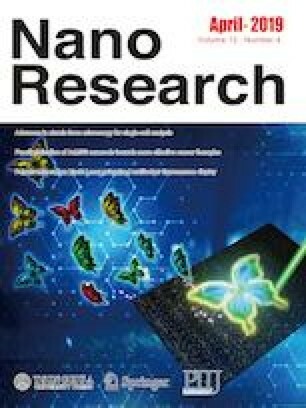 Stimuli-responsive self-assembly of nanoparticles represents a powerful strategy to achieve reconfigurable materials with novel functionalities and promising applications. In this regard, light-induced reversible self-assembly (LIRSA) of nanoparticles is most attractive but it is usually limited by the prerequisite yet cumbersome chemical functionalizations of the particle surface. 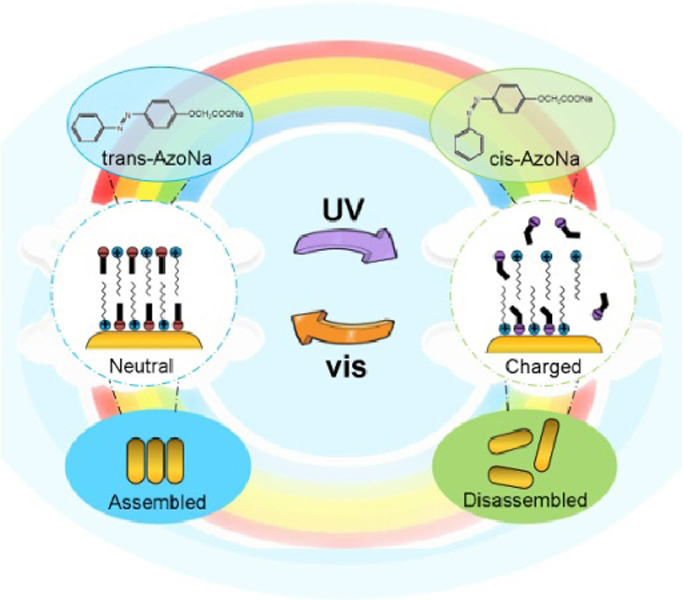 Here we describe an innovative method to realize LIRSA of gold nanorods (GNRs) without surface functionalization through photoswitchable adsorption of an anionic azobenzene derivate AzoNa. The LIRSA of GNRs is caused by the reversible change between a nearly neutral state and a highly charged state of the GNRs arising from the photoswichable adsorption of AzoNa triggered by photoisomerization. The LIRSA behavior can be readily adjusted by changing the concentration of AzoNa and the aspect ratio of the GNRs. This new LIRSA strategy may provide a convenient and efficient route toward light-triggered reversibly reconfigurable nanomaterials. Supplementary material is available for this article at https://doi.org/10.1007/s12274-019-2393-9 and is accessible for authorized users. This work was supported by the National Natural Science Foundation of China (No. 21673007).